I am still shocked when I go out and visit companies how few of them are using LinkedIn correctly. As a social media marketing consultancy in Bangkok (Just google it I have three sites right up there) I find it shocking how business people still resent change, when change should be a staple of any entrepreneurial enterprise. Look back at History at companies who refused to move with the times. The old school ways are almost dead. Cold calling and visiting companies are just antiquated and have been proven by top academics that they don’t work anymore. Go back to the 1980’s when it was deemed ok-ish to knock on a company’s door and with a little bit of charm that all good sales people possess, and start showcasing what you do, or make an appointment over the phone, because this was the only way back then that buyers could see what was on the market place! Now they Google products and services, or look on a business directory or get reviews on review sites. Business people receive their business education and ideas from Blogs and on LinkedIn so you have to get with the times, I have 4000 + contacts now on Linkedin and am a top contributor of many groups, and this brings in many good leads! The number one thing for me is always Photo. I see all these people on LinkedIn with no photo and I just sail right past them, Photos are 11 times more likely to grow your contact base than profiles with no photo! And please get a smiling approachable photo in a business suit; you will be shocked at how fast you can grow a large contact database with the right photo! This isn’t really a CV, even recruiters find a long CV boring and move on, they want to know the basics , sure, they want to see where you studied, but they also want to see how you sell yourself; put the critical things you do in a list above the fold , so people don’t have to scroll down. A half assed summary says a lot about you! Make it like sales pitch more than a resume! A great trick to get more good contacts is to create a call to action in your summary, and add your email within the summary, remember people need your email to send you a contact request, how helpful is it when they have your email to begin with? Add Power Point presentations to the summary and YouTube videos, Slide share.net is an awesome site for uploading power point presentations, and it just highlights you as a professional. Recently at a presentation I was conducting, they only had a small monitor so I told the people at the back to go on their phones to my slideshare .net channel, they followed my presentation on their smart phones and the presentation was about how technology can help business today! Get comfortable, make a cup of coffee and settle down this will take a good hour, as it’s quite intense and this is one of the things I get called up to help with more than anything. First find someone else’s companies page then the create companies page button is there top right , don’t skip anything, use a business email that corresponds with the name of the company page, this is the one place where most come unstuck and LinkedIn won’t let you go any further. Make sure to fill out products and services and the separate showcase page also. I t will be the best hours work you have ever done online I assure you. There are hundreds of millions of people searching LinkedIn, and your profile should be easily found by the people who are searching for the types of services you provide. When you are in a group you will see start your own group button and you should make a niche industry get together group where people can learn from one another, think philanthropic , more than database of punters, , when you have quite a few members; it’s like having a pool of great business minds to bounce of one another. Of course you can message them all when you want so there is always that bonus. No need to tell you why this is paramount, you need to be in around 50 groups so that when you share your content you are being seen by the top targeted people who have, like you, joined groups to get more information from the experts in their fields! Regular readers of my blogs will know how much I preach about posting useful content, useful content to others, it’s about giving all your hard earned knowledge away, but karma says; ‘energy can neither be created or destroyed’, so if you are consistent and you install the ‘addthis plug in’ to your blog and after publishing, you will see results! To share your work to hundreds of thousands quickly: you click the LinkedIn button in the plug in on your blog, you can then share that great piece of work all over LinkedIn and all the other top social networking sites that will help people and let them know you are the best person in your industry to call upon when the time is right (This is branding!) 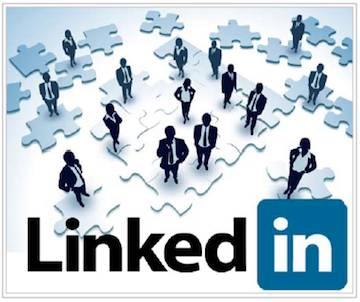 The ‘addthis plug in’ also shares to ALL the LinkedIn groups you are a member of in minutes! When I was a kid in the 70’s, my Mum used to tell me; “To get letters son, you first have to write to your pen pals”, oooh so that’s how it works eh? It’s about scratching my back I’ll scratch yours, well I now have over 1,000 endorsements, people ask me well what significance does that have? Well it’s a lot better than having none, and the more people that shout about you is, well better than having a thousand shouting at you! LinkedIn is just one of many Social Media sites I help clients set up on a Netmedia Online Marketing workshop; you must be active with all the top ones. I have over 4,000 connections on LinkedIn and it provides around 5-8 leads a month for me. If you want to meet me and see how I can help you with your content marketing strategy and help you convert traffic into sales from your website Contact Netmedia Thailand.